Every website on the Internet needs to be stored somewhere, and that’s what we refer to as hosting – but what exactly does that mean? With so many different ways of hosting your site, it’s easy to get lost in the internet tubes. Let me guide you through some of the many ways you can host your own website, as well as how much it’s likely to cost (if anything), and the advantages and disadvantages of each. 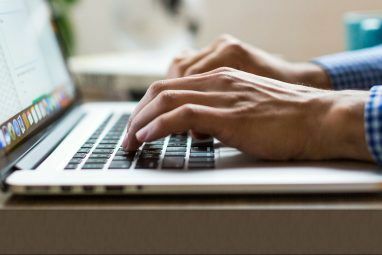 If you’ve been meaning to start a blog, but find the choices overwhelming and the jargon mind-boggling – or maybe you just want to satisfy your technological curiosity about how the Internet works – then read on. A website host is really just a computer that is on all the time and connected to the Internet. When you visit a website, you’re downloading some files from the machine that stores that particular website. The truth is that any computer can be used to host a website, even the one you are using now – but the computers used by professional hosting companies are incredibly powerful with lots of hard disks and memory, highly optimized to deliver the website files to thousands of readers simultaneously. The machines are stacked up high, and there are no keyboards, mice or monitors to be seen. So – You Need A Website Host? 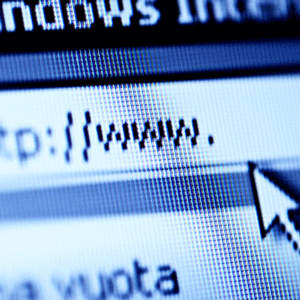 There are various ways of hosting your website, so let’s take a look. We’ve written a few guides before on how to self host a website on a spare computer How to Build a Linux Web Server With an Old Computer How to Build a Linux Web Server With an Old Computer Read More , or even within Windows on your main computer How to Set Up Your Own WAMP Server How to Set Up Your Own WAMP Server WAMP server is the easiest and most pain-free way to set up Apache, MySQL, and PHP on Windows for hosting a website. Read More . So-called because you share a hosting server with thousands of other websites that are also stored on the same computer. Shared hosting is the budget option – prices and packages vary greatly – most will come will a free domain name registration and so-called “unlimited bandwidth and storage”, but don’t be fooled. Shared hosts rarely allow anything other than basic web files – so you can’t use that unlimited storage to backup your computer, for instance. We recommend InMotion Hosting. Their shared hosting runs on SSD which is blazing fast. Otherwise, check out their secure WordPress hosting with WordPress pre-installed. Perhaps the most famous budget shared host is Bluehost, with plans starting at $3 a month. There are also lots of cheap shared webhosts 9 Cheap Web Hosting Sites That Cost Under $3.50 Per Month 9 Cheap Web Hosting Sites That Cost Under $3.50 Per Month Here are some of the best cheapest web hosts available today, all priced at under $3.50 per month. Read More , but you really do get what you pay for. These are the top 2 levels of website hosting, and mean you get the whole server to yourself. The difference between Virtual Private Server (VPS) and Dedicated Server is that a Dedicated Server is a single, physical system which you essentially “rent” inside of a data center. A VPS is a single, virtual machine – similar to the way you can use Parallels to run a virtual machine inside of your OSX install Run Windows Faster On Your Mac With Parallels Desktop 6 [Giveaway] Run Windows Faster On Your Mac With Parallels Desktop 6 [Giveaway] Read More . MakeUseOf is hosted on a dedicated server. My personal recommendation for a VPS or Dedicated server is Media Temple. Their VPS starts from $50 a month, while dedicated servers start at $750 (yes, you did just read that right). If you’re serious about starting a blog, I really suggest you skip the free route and head straight to a shared hosting account. Yes, it may cost a little, but it will save you so many headaches down the line – and there is a psychological effect that if you’re actually paying for it, you’re going to put more effort in. When the time comes to upgrade – then you can easily migrate to more a more professional solution. The learning process is one hell of a ride, so what are you waiting for? Explore more about: Blogging, Web Hosting, Web Server. is this about a website or a blog? the article flips back and forth throughout. I'm looking to get up a website, not a blog. not sure how much of an overlap there is between what is required and needed for each. That being said, without wanting to be overly whiny, great job of defining basic terms and outline strengths/weaknesses of various categories of web hosting. In this, main, area - you've done a great job and thanks for that. Hi liveforfood, thanks for the comment and it's a very good point you bring up. In fact, I would argue though that the boundaries between a "blog" and a "website" as such are increasingly blurred. 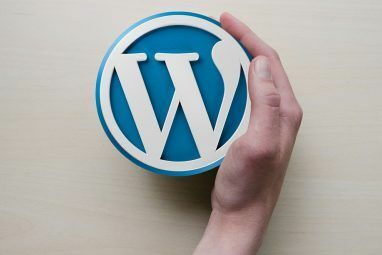 For instance, WordPress is rapidly becoming a full-blown content management system but remains seen as only for blogs. Looking at it like that, I think there is technically no difference between WordPress and any other "website". The sites are develop for clients all now run on a wordpress backend, but we customize them to the point that they are no longer recognizable as any kind of blog, and the content is mostly static. I added in a quick note about Blogger because of an editors request to include another free service in the article, so inevitably blogger was the first service to come to mind. To be honest, I think if you are looking to develop a non-blog website, then you wont be interested in free services anyway. Good point Curious, I'll bear that in mind for a future article. This was meant as a "Technology Explained" article, which means we explain tech and internet concepts rather than give a hands-on how-to. I think we might have covered budgets hosts before, actually. Certainly, for beginners and hobbyists who just want to have a go at website building, GoDaddy is a more than suitable option. I hosted my sites there for about a year, and before that I was using Siteground shared hosting for a few years before that. But I stand by what I said that beyond a very basic level, a VPS is a much better option. For someone like me who owns about 20 low-traffic sites, a VPS is really the only option. Paid hositng is fairly affordable for anyone who is really serious. A host like Godaddy comes to about $6.00 a month ( or two cups of coffee). Butit will do you well to have a 24/7 customer service when you have technical issues as a novice. 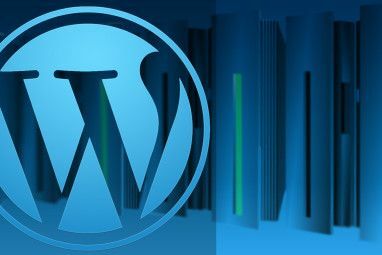 Also, most paid hosting companies have few clicks to install most content management systems such as wordpress and joomla or even ready made html templates and shopping carts as well. If you are technically challenged and not that web savvy a paid service will yield you much benefit down the line . What about a hosted service like SquareSpace? Looks like they provide decent flexibility and could be a good starting point for someone who's not very tech savvy. Yes, SquareSpace is also hosted and scaleable to deal with traffic spikes, but we decided not to include it as it isn't free (unlike bogger and wordpress). I agree it's a good service for non-tech savvy, but with the free alternatives it is hard to justify the added expense. I have been using dot5hosting for some time now and havent had any real big problems. I have them hosting my WordPress site and I do all the work on it. All they do is collect the payment every two or three years. I have run into a problem last year when I upgraded my blog and completely wiped out everything. Good thing I had saved the posts locally so all I had to do was reupload them. Very clear explanation. I agree with starting out with at least shared hosting. However, IMO 10 second load times will lose you more subscribers than being a subdomain. Very good point, I suspect it did lose me many subscribers. Hmm, I'm not convinced. Like I said, best to skip the free route and get a service that actually works and allows you to expand. If someone literally just wants to practice and has no intention of taking it anywhere, then WordPress.com would be fine. You can be sure that your ISP won't you host much more than static HTML files (though I must admit, I've never even considered the idea). In fact, if my ISP is advertising "free 10mb webspace! ", then I would probably discount them altogether! I see nothing about AWS. Would that qualify as a Virtual Private Server? I would recommend that anyone starting out should look to their ISP's. You are usually alloted 'at least' 10 to 20 megs of website hosting space to use as you please. For instance .. Verizon allots 10 megs of webspace if you are one of their dsl subscribers and I'm almost sure that other providers do the same. Plenty of space to practice on. 10 megs is way too little considering the average size of a decent looking screenshot/photo is about 100 KBs. Not really sure how someone can make use of those 10MBs :?